Pad controllers are a lot of fun to play and use for making music. 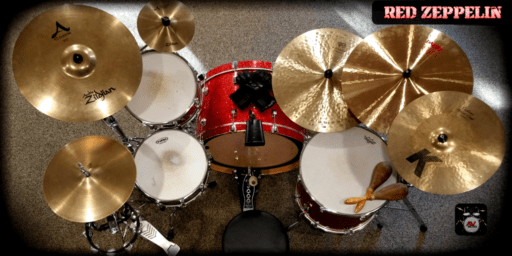 They’re great for live performance, or for composing drums at home and not disturbing the neighbors or taking up space. 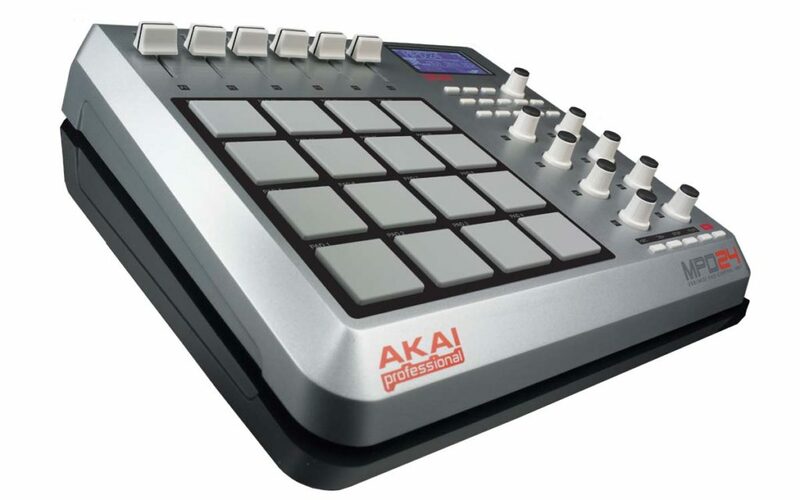 I have one just like the one pictured above (MPD24) that I used to make many performance videos on YouTube. If you’re on Windows or Mac, a lot of people just use Ableton Live for pad controllers. But what if you’re using Linux? What kind of options do you have for fingerdrumming? I thought I’d put together a list of a few programs I know work well with Pad Controllers. Creating your own soundfonts with Swami. Swami is great for pad controllers because you can create very complex sample sets then save them to .sf2 files. Then you just open them up with qsynth/fluidsynth and you have an awesome standalone sample player that is fully customizable with your particular pad controller. 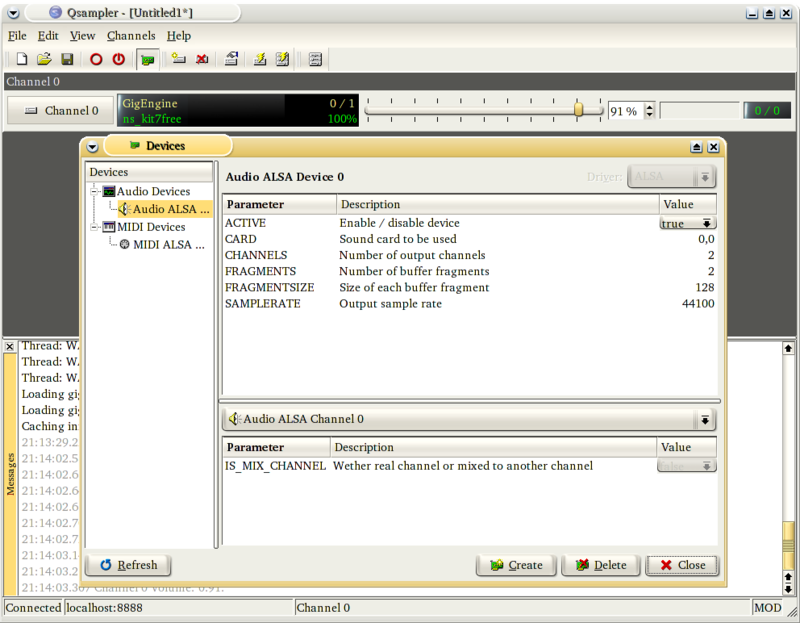 Linuxsampler is a very powerful software sample player that can load many sampler formats like sfz, GigaStudo, and sf2. It’s a bit of a pain to setup and use though. If you’re wanting to just play drums on your controller, AVLDrumKits is an LV2 plugin that has some good drumsounds. You can program your controller to a comfortable layout to play the kit. 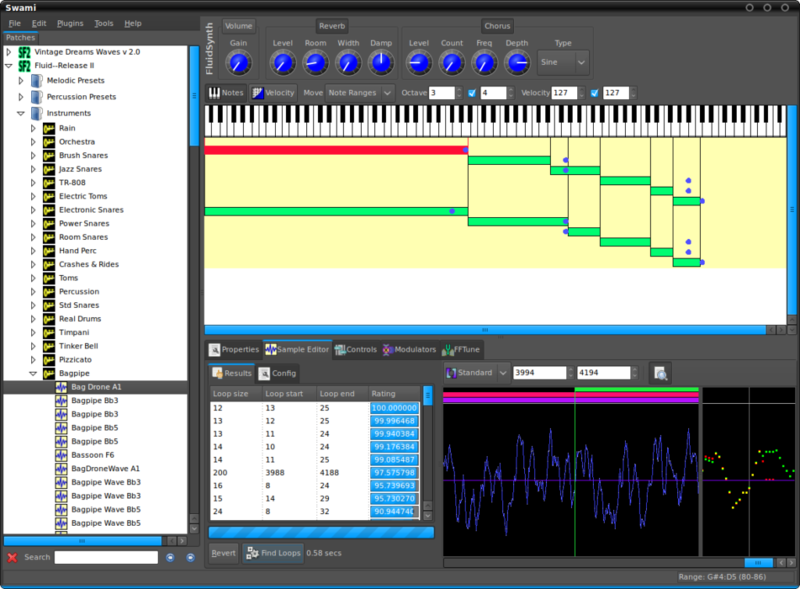 Drumgizmo is another great drum sampler for Linux. There’s some very high quality drum kits available for it, and you can create your own using it’s special editor called DGEdit. Drumkv1 is probably my favorite option for pad controllers on Linux right now. All you need to do is drag and drop any sample into whatever slot you want to have on your controller. This makes it easy for mapping, as well as easily apply fx, filters, and LFOs to any sample. No external editor needed! Then you can save your kits and use them any time! If you’re looking for a place to get a ton of samples, loops, and one hits, check out this page! This entry was posted in Bedroom Producer, DJ tools, Electronic Music, Linux, MIDI and tagged drum sampler linux commands, drum sampler linux download, drum sampler linux mint, drum sampler linux operating, pad controller, pad controller akai, pad controller download, pad controller software, pad linux, sampler linux commands, sampler linux download, sampler linux mint, sampler linux operating on October 18, 2017 by DemonicSweaters.